The first time I saw this stretch of road between Llano and Castell, Texas, I was pretty amazed at the beautiful colors. 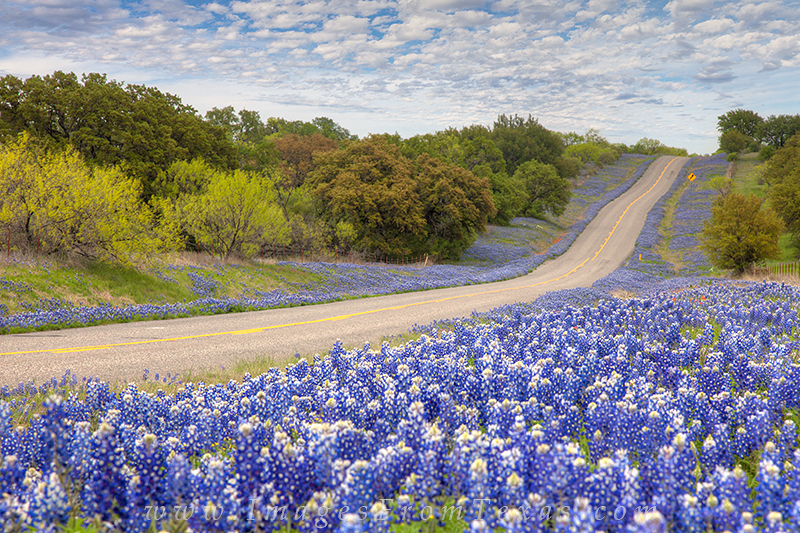 Bluebonnets with a few paintbrush mixed in stretched down and back up to where the road started down the hill again. I had to return here for better skies. My second trip was rewarded with patchy clouds over a sea of blue... well worth the extra effort. Photo © copyright by Rob Greebon.